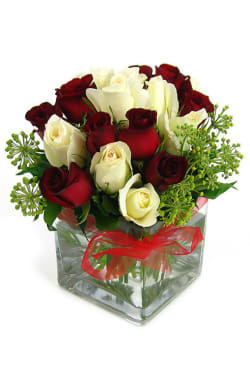 Add Valentine's 18 Rose Vase to your order? 18 premium roses presented in a vase (12cm x 12cm). This arrangement makes a fantastic table centrepiece or gift.